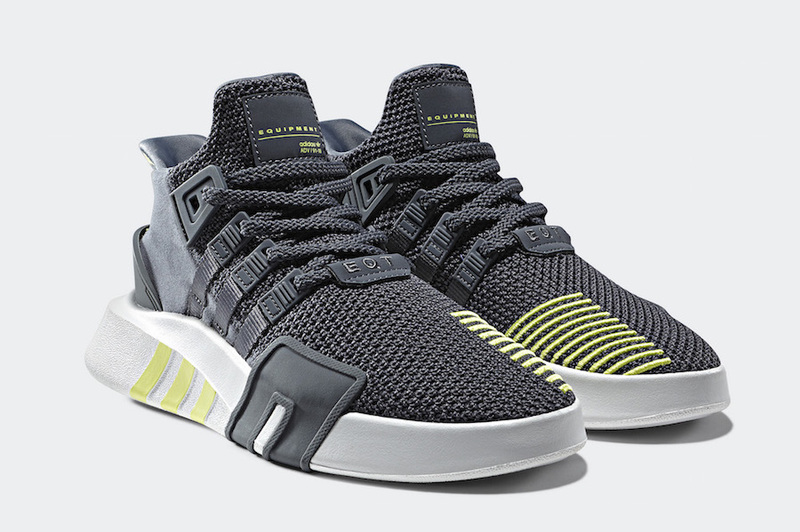 Following the unveiling of the adidas EQT Basketball ADV, the Three Stripes returns with two more new colorways set to drop this month. One comes dressed in Onix and the other in Cargo Green. Both feature a sculpted look inspired by the inner-boot design of old-school basketball models, the adidas EQT Bask ADV is constructed from a knitted mesh, with structural suede. Molded TPU panels around the heel and forefoot add extra support, whilst classic EQT elements such as integrated Three Stripe mark, Three Stripe midsole details and heel embroidery in essential EQT Green reiterate the shoe’s EQT connections. Look for both adidas EQT Basketball ADV colorways to release on February 15th at select retailers and adidas.com. The retail price tag is set at $120 USD each.